Our hours vary depending on class schedule. 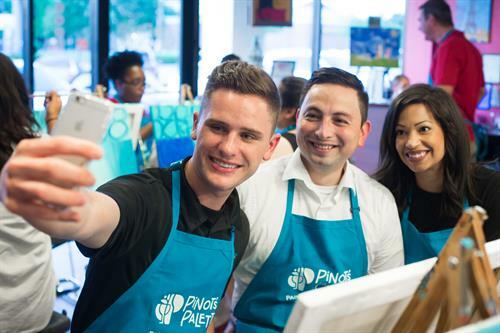 We are Pinot’s Palette Long Beach, located between 4th and 5th street on Pine Ave.
People come to “Paint Drink and Have Fun”! 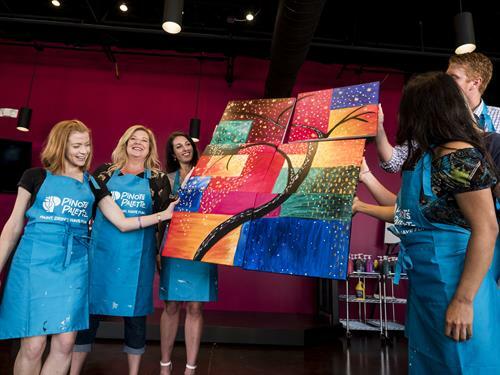 They choose a painting on our website or on our phone app. Then they can register for the class and painting of their choice on they day that they choose. When they come into the studio, they are greeted by one of our friendly studio Artists. They will check you in and give you an apron to protect your clothes and then guided to our cubbies where you can put your purse or coat. Then you can come to our bar and order a drink. We have wine, beer and non alcoholic beverages. Then you’ll find your seat by finding your name printed on the table. You will have everything waiting for you, easel, canvas, paint, brushes and water cup for your brushes and paper towels. Then you’ll be lead step by step by one of our lead artists on how to paint the picture you have chosen. 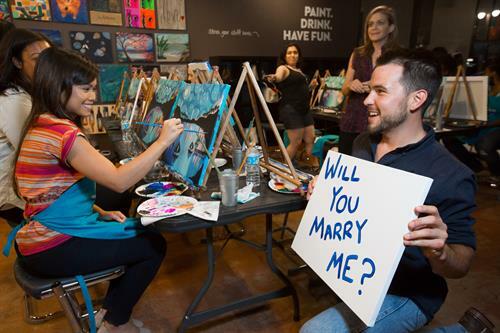 And in just a couple of hours you will walk out with your very own masterpiece. 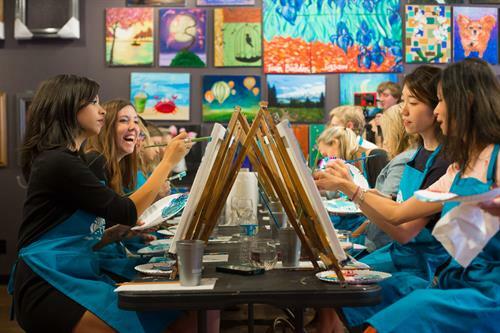 "Paint, Drink and Have Fun"
We are located in the historic district of Long Beach between 4th and 5th St. Parking is located behind our studio and your first 2 hours are free we look forward to seeing you soon!